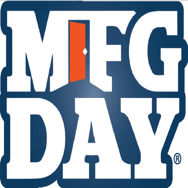 Since 2012, the first Friday of October has been designated as Manufacturing Day℠ or MFG DAY (this year it is October 6, 2017) to celebrate manufacturing successes. The National Association of Manufacturers (NAM) produces MFG DAY annually with support from the Hollings Manufacturing Extension Partnership (MEP) and the Manufacturing Institute (MI). Each year, manufacturers invite a variety of audiences (businesses, students, media, etc.) to their facilities to educate them about all that manufacturing encompasses and the industry’s career possibilities, ultimately improving perceptions about manufacturing. Click here to find a participating manufacturer in California. Bay Photo Lab is a professional quality photographic printing and finishing laboratory in Scotts Valley, CA (Santa Cruz County). Founded in 1976, Bay Photo Lab specializes in wedding, portrait, sport, school, and landscape photography and provides a variety of products to the photographic community, including digital prints and proofs, large format prints, mounting and framing, canvas prints, and much more. This manufacturer refinanced existing debt and requested additional funding for new capital expenditures under this $12 million deal. The savings and expansion opportunities that Bay Photo is expected to experience under this deal enables them to put more money back into operations, retain 300 jobs, and generate up to 20 new jobs. Spooner’s Woodworks, Inc. was established in 1980 and has become one of the premier architectural woodwork firms in Southern California specializing in high-end millwork and production casework. The project which Spooner’s financed through CEDA in 2015 included the purchase of an existing industrial building containing approximately 58,000 square feet for the purpose of consolidating operations into a single building aiming to enhance efficiencies and allow the manufacturer to grow its business. Spooner’s estimated that the project will assist the company to retain its current 75 employees and add approximately 10 new employees within two years of project completion. Harris Industrial Water Treatment, Inc. d/b/a Puretec was founded in 1944 and has been owned and operated by four generations of the Harris family. Puretec is an innovative industrial water services company that designs, engineers, manufactures, distributes, installs and services water treatment and purification systems. Puretec’s systems utilize a variety of technologies, including reverse osmosis, deionization, water softening and numerous filtering technologies that remove suspended particles, bacteria, viruses and gasses. The IDB financing through CEDA provided Puretec an opportunity to expand its operations at its site in the Silicon Valley. Founded in 1951, Gordon Brush Mfg. Co., Inc. is a leading manufacturer of brushes for industrial and commercial applications for a variety of industries and purposes, including aerospace, printed circuit board production, food production, medical, healthcare, forensic investigation and janitorial services. Financing through CEDA’s IDB program helped the company, located in Southern California, to partially fund the acquisition of an industrial building at their project site to expand their operations within the state. It was estimated that this project financing enabled the company to retain approximately 73 jobs and create approximately 44 new jobs. IDBs are tax-exempt securities issued by cities, counties, and joint powers authorities, such as CEDA, to provide small- to medium-sized manufacturers money for land purchases, building construction, facility expansion, new production equipment acquisition, and solar and energy conservation retrofits. Benefits of IDB financing include below market interest rates, long-term financing, and it is available statewide without limitations to specific areas or communities. Overall, IDB financing reduces total financing costs so more capital can be invested back into the organization’s operations. About CEDA: In 2006, CALED established CEDA, a joint powers authority (JPA), to address gaps in Economic Development financing. CEDA is committed to providing alternative financing options to manufacturers, 501(c)3 non-profits, and California communities, with the ultimate mission of supporting economic development. More information about CEDA and this tax-exempt financing for manufacturers can be found on CEDA’s web site or contact Helen Schaubmayer at (916) 448-8252 x16 or helen@caled.org.